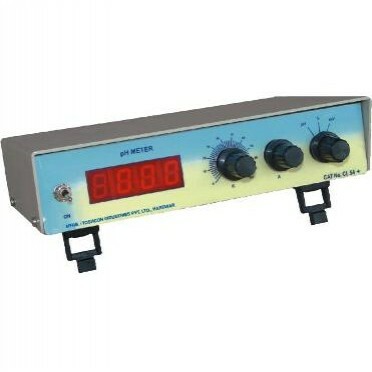 Laboratory Digital pH Meter. (with pH Electrode CA - 11). * Compact Size, Light Weight, Stable High Input Impedance Amplifier. * High Accuracy and Quick Response. * Potentiometric Titration and Redox measurement facility. * Resolution : pH: 0.01 pH . * Impedance : 1012 Ohms .